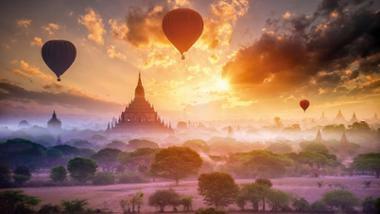 10 days in Bolivia: could this be a holiday of a lifetime? Even attempting to describe Bolivia produces a kind of breathlessness. The landlocked nation bordered by Peru (in colonial times they constituted a single viceroyalty) and four other South American countries is beguilingly beautiful, dizzyingly extreme, economically poor, biodiversity mega-rich – and is the undisputed heartland of indigenous cultures. Bolivia has two Andean mountain ranges, an immense altiplano or high plateau and a pocket of the Amazon basin, as well as the world’s highest capital city (La Paz), highest navigable lake and largest salt flat. It has coca, coffee, llamas, alpacas, jaguars, anacondas, condors and macaws. Its people speak Aymara and Quechua before they speak Spanish. 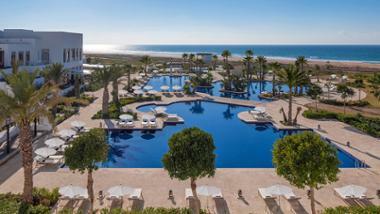 A 10-day trip can’t possibly take all this in. But my own introduction to the country, 25 years ago, was not much longer and held enough wonder to make me realise I was visiting a very special land. I remember waking dreams from cold buses, as I peered out on a landscape that evoked Tibet, or Mars, or Salvador Dali — and would need to return, time and again. 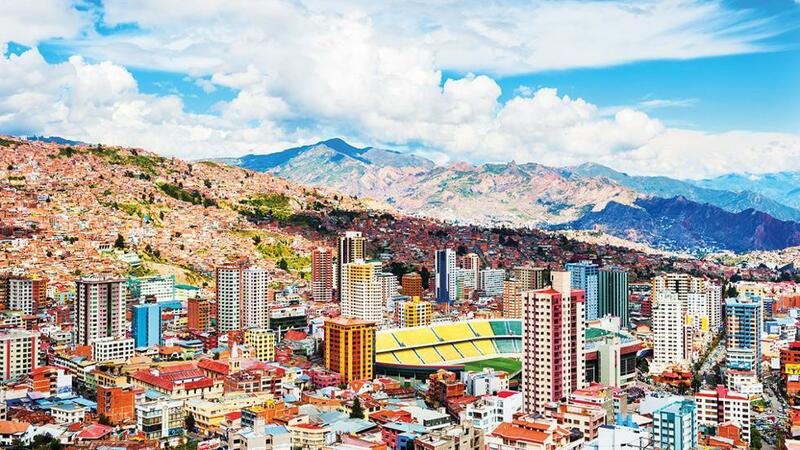 In recent years, Bolivia’s capital, La Paz, has been making news. 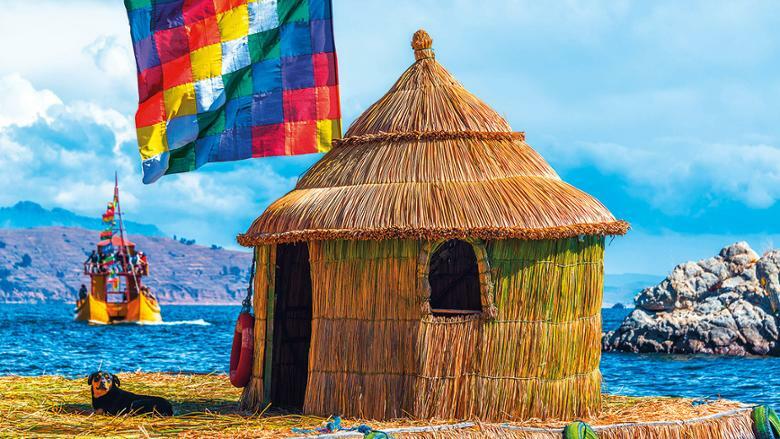 Playful Andean cuisine, smart designer hotels, a fabulous cable-car transit system and the socio-cultural ‘revolution’ wrought by Evo Morales’s Left-leaning government all make for punchy headlines. But tone down the hype and swerve away from the media’s drive towards a kind of hedonic homogeneity, Bolivia’s real attractions are deeper, more idiosyncratic, less time-sensitive. This itinerary aims to provide a showcase of talismanic locations as well as a primer in the cultural highs of a nation that has resisted assimilation. The route, from east to west, climbs gradually from 1,300ft above sea level to more than 13,620ft. Make sure you acclimatise. Drink water. Eat lightly. Once you get all that sorted, prepare for the holiday of a lifetime. People swoon over Brazil. They find Argentina scintillating. They are taken by Chile. But they fall in love with Bolivia. It’s real, restive, slightly alien, ancient and unique. Check in at Casa Patio (casapatio-hotelboutique.com), a cute five-room boutique hotel run by an art-loving couple that combines Twenties style with pre-Columbian artefacts. For dinner, head to El Aljibe (elaljibecomidatipica.com), which serves traditional cruceno cuisine in a colonial setting. Try a majau: beef jerky, with rice, fried egg and plantain. Drive three hours south-west and check in for two nights at the Refugio los Volcanes (refugiolosvolcanes.com), a simple but comfortable solar-powered, six-room lodge on the edge of the Parque Nacional Amboro. Loosen up with a hike around the lodge’s extensive grounds and a dip in the natural pools — filled by waterfalls. Look out for butterflies, birds and orchids — 94 of the latter have been recorded to date. Spend your second day on the well-marked trails of the Buena Vista section of the national park, a wildlife sanctuary that protects several ecosystems, including yungas (temperate Andean slopes), Amazon moist and montane dry forests, and scrubby chaco. 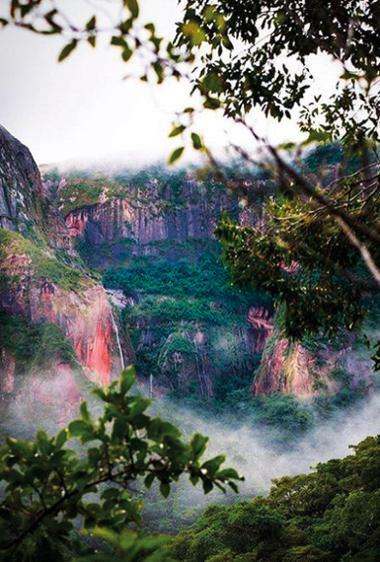 A biodiversity hotspot, it’s home to the endangered spectacled bear, jaguar, puma, ocelot, giant anteater, giant armadillo and spider monkey, as well as scores of reptiles, butterflies, amphibians and 830-plus birds – including condors. You can do this alone or, if you want an expert guide, talk to Janette Simbron at wildlifebolivia.com or 00591 2 2414753. Transfer to Santa Cruz airport for the flight to Sucre (45 mins). Check in to Parador Santa Maria La Real (parador.com.bo), a former viceregal palace turned opulent hotel. You’ve climbed to 9,220ft above sea level and a climate somewhere between the extremes of the lowlands and altiplano. 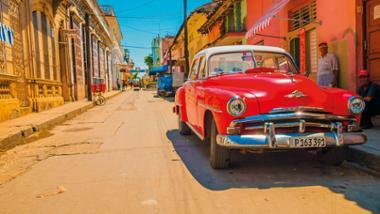 Take it easy as you wander around one of South America’s most captivating colonial towns. 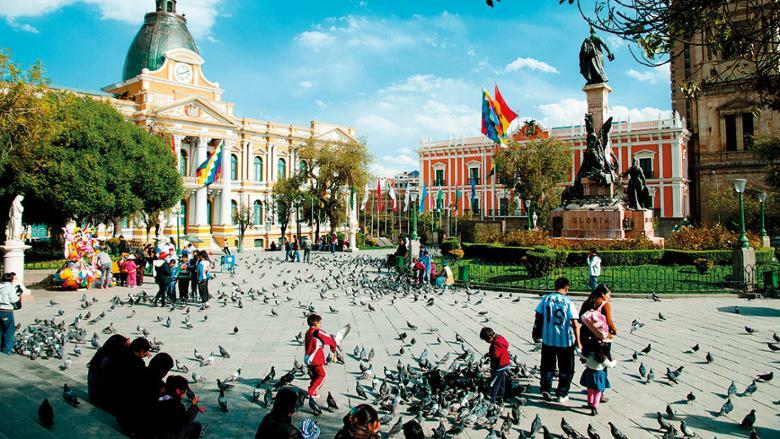 Stops in the Unesco-listed historic centre should include the Plaza 25 de Mayo, Casa de la Libertad (House of Freedom where Bolivian independence was signed into law on August 6, 1825), cathedral and excellent Museo de Arte Indigena. At the latter, make time to meet the Jalq’a and Tarabuceno weavers, two groups of artisans who produce very different styles of poncho, shawl and chuspa (coca-carrying bags). For lunch, El Huerto (elhuerto restaurante.net) has open-air dining in manicured gardens; specialities include the saltenas (meat pasties) and spicy chuquisaqueno chorizo. After an early breakfast, drive from Sucre to another Unesco-listed city, Potosi – 156km but a fairly slow three hours on a winding high road. If Lima was the seat of Spanish colonial power, then Potosi — at 13,434ft, the highest true city in the world — was its source. It lies at the foot of Cerro Rico, where thousands of tons of silver was mined, and from which locals still eke out a living. 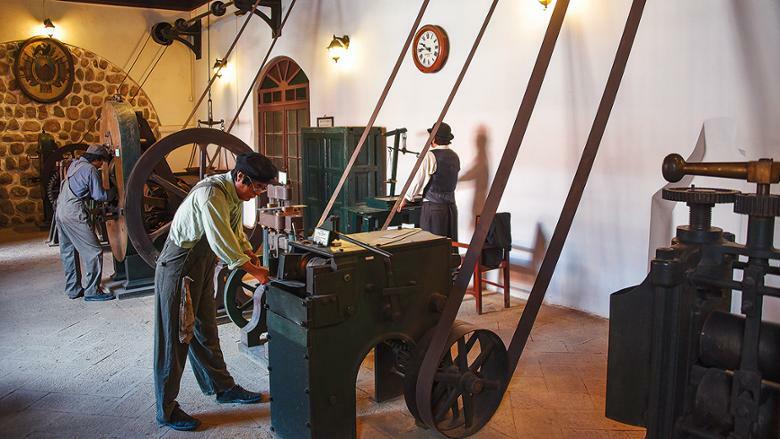 Spend a couple of hours at the fascinating Casa Real de la Moneda (the royal mint). You’ve climbed significantly since Sucre, but if you’re feeling up to it, and don’t suffer claustrophobia, do a tour of the silver mine. Spend the night at the restored Hostal Colonial (hostalcolonialpotosi.com.bo). For dinner, Cafe-Pub 4.060 (calle Hoyos 1) serves pizzas, pasta dishes and local beverages. It’s a long (three to four hours) drive or bus ride to Uyuni, but the road is good and the landscapes all part of the Bolivian experience: as the road rises up to the altiplano, the land flattens out, becoming even more arid. This is the heartland of the 1.75 million-strong Aymara people, who herd llama, alpaca and vicuna and grow potatoes and quinoa. Look out for chairo, a stew made from meat and potato starch, if you stop at any villages. On arrival in Uyuni, check in to Luna Salada (lunasaladahotel.com.bo) — a plush hotel made entirely from salt — and spend the afternoon enjoying the views of the blinding white salt flat. In the evening (which can be bitterly cold) enjoy Andean food in the hotel’s Tunupa restaurant. 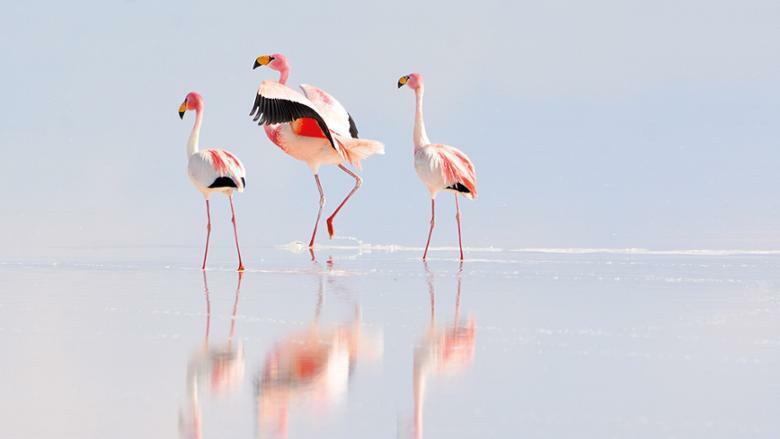 Spend a full day touring and photographing the Salar de Uyuni (salt flat), visiting cactus-studded Incahuasi Island – note the petrified coral — and meeting salt miners. Spend a second night at Luna Salada. Return to Uyuni for the flight to La Paz (40-60 minutes), the extraordinary bowl-shaped, bustling capital city that sits beneath the magnificent hulk of snow-capped Mount Illimani. Check in to stylish Casa Grande in the city’s southern district. Take a cab to the Valle de la Luna and ride in a cable car towards the centre to see the new gallery of celebrated Bolivian artist Gaston Ugalde, the ‘Andean Warhol’ (avenida Ecuador 2534, 00591 7 0616326, salart.org). Keep lunch light, saving your appetite for a slap-up dinner at Gustu, the acclaimed Andean-focused restaurant created by Noma boss Claus Meyer. Visit the famous church, where drivers from far away bring their new cars to get them blessed. Take a boat trip out to the pretty Isla del Sol (several companies go; price for trip and entry to island about Dh45). There are Inca ruins on the Isla del Sol bolivia island and above Copacabana. 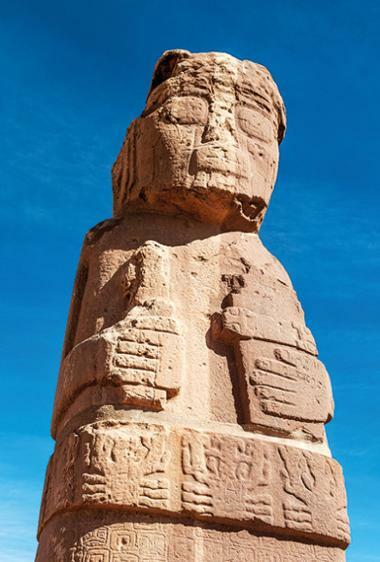 In the morning, drive (three-and-a-half hours) to Unesco-listed Tiwanaku, seat of a powerful pre-Hispanic empire that controlled a swathe of the southern Andes between AD 500-900. Pre-dating the Incas, the population built temples and pyramids, including the impressive stepped Pyramid of Akapana, as well as advanced irrigation systems, and undertook textile manufacture, metallurgy and basketry. Return to La Paz, taking a diversion via El Alto, a sprawling satellite city even higher than the capital, to see self-taught architect Freddy Mamani’s spectacular creations. Let local guide Mariela Zuleta show you around — you’ll save time and she’s good company (tours from about Dh180, 00591 7 2027715, on Facebook as ‘Mariela’s Bolivia’). Melding elements from indigenous dwellings, art deco and the Power Rangers toys, Mamani’s three to four-storey towers are known as cholets — a portmanteau of chola, the bowler-hatted Aymara woman, and chalet. As you descend into La Paz, there are several miradores, or viewpoints. For lunch, head to the Mercado Lanza for fresh fruit juices, delicious local dishes and ice cream. Afterwards, wander around the historic and civic centre, and nearby Witches Market (shops selling owl feathers, armadillos, black candles and dried llama foetuses). Visit the superb National Museum of Ethnography and Folklore and enjoy a good cappuccino in the Writers Coffee bookshop cafe. For an early dinner, order the tasting menu at downtown vegan restaurant Ali Pacha. Check in late at Atix, La Paz’s coolest hotel.